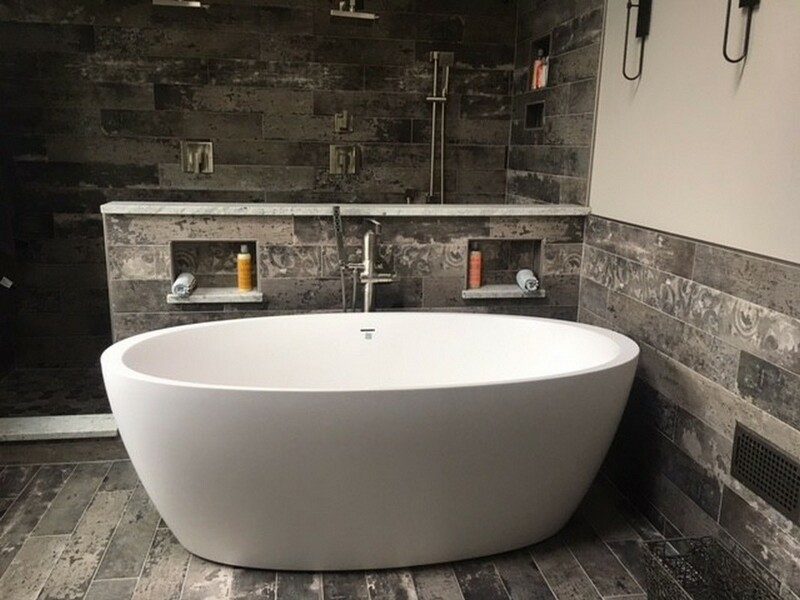 The natural, earthy forms of this Scandinavian-designed soaking tub creates an attractive and sculpted appeal in a contemporary or classically styled bathroom space. The deep and double-ended, freestanding design of this one-piece, solid AquateX™ model provides for excellent heat retention and lifelong durability. I was looking in the local store for a free standing resin tub for my bathroom remodel. I did not really like what I was seeing and they were extremely expensive. I started looking on line and found the aquatica website. I bought this tub site unseen (not from Amazon, but this one was not available at the time). Anyway. It was 30% less expensive than what I had seen so I took a chance. I LOVE THIS TUB. It has a unique overflow drain system that solves the problem of extra pipes sticking out of the tub. It stays warm, is beautiful, easy to clean and looks like a piece of art in my bathroom. My plumber had some installation questions, and I had no problem calling and getting answers from Aquatica. Amazing tub. Solid and beautiful. Highly recommend! Take the plunge!! I looked for a very long time for a deep soaking tub that didn't feel or look cheap and had that modern spa look. Scared to order without seeing or touching , I took the plunge! Literally! It's awesome!!! Could not be happier! 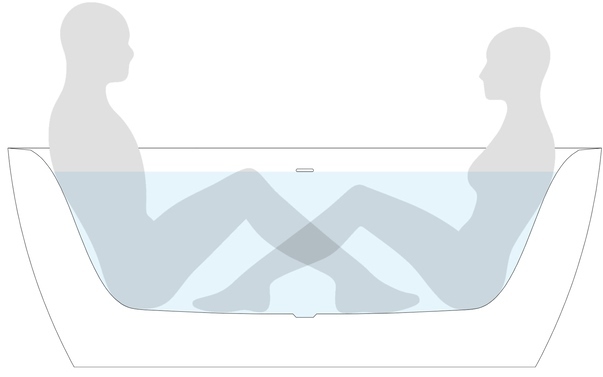 We just love our new Sensuality bathtub. 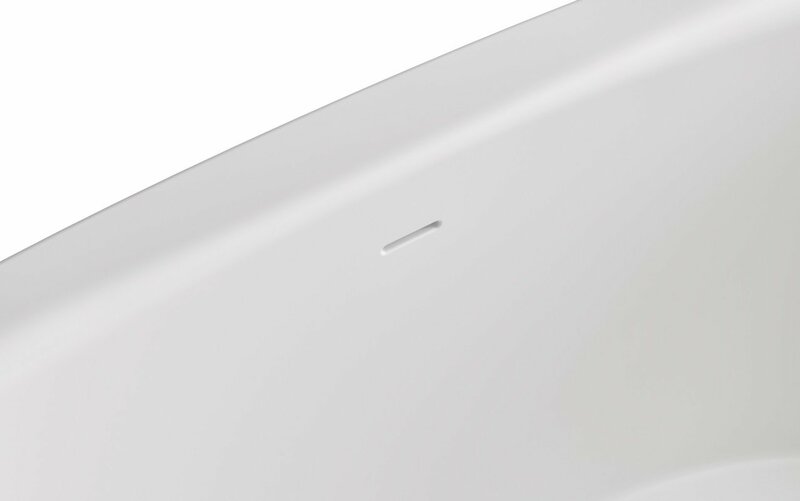 It is luxurious, solid and beautiful to the touch. It comfortably fits two people. We recently renovated our master bath and this is the centerpiece of the bathroom. Jarek was more than accommodating. We had an issue with the local shipping company, but Jarek was there to iron things out. 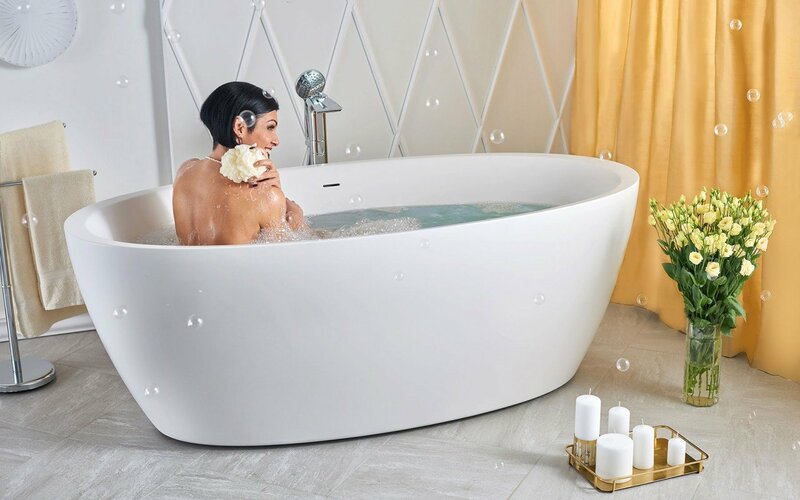 It is all in the past now as we are so thrilled that we decided to get this tub. I love mine! Couldn't be happier. Great price fantastic product. 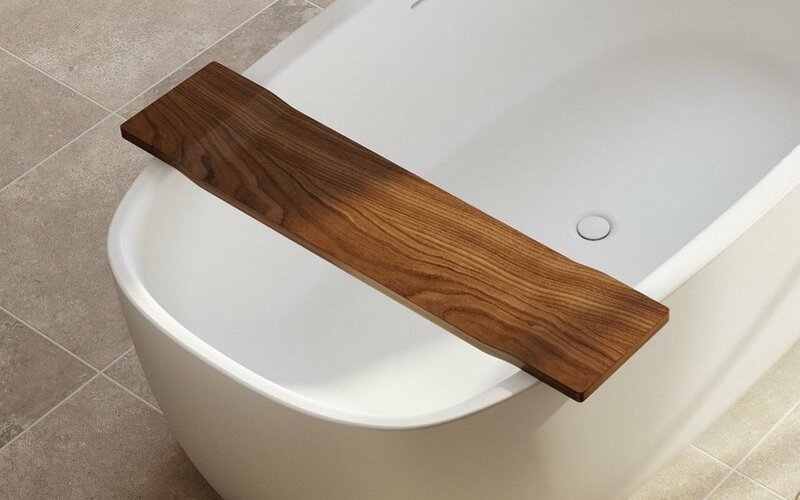 Very strong and durable bathtub. Quality is amongst best I have ever seen and used. Took longer than I expected but understandable since they are made by the order. Overall great experience and helpful customer service.